Hi Everyone! A special hi! to everyone who started following Finding the Pennies this week. I am so excited you're here; I hope you are, too! Winning with your finances isn't easy. It takes work, determination and a money-saving mindset. By having a plan in place, we can all take steps - no matter the size - to take control of our finances. The plan I started to share last week is one we've - my husband and I - have been following for a few years - and it's working so well for us, that I want to share it with all of you. The control we have over our finances can be attributed to God's grace as well as following a budget - or a written plan for money before a penny is spent. The 3rd step under Baby Step 0 is to create and follow a written budget. Just to recap what we've already looked at over the past week. Baby Step 0 - to commit - is an unofficial but important step in taking control of your finances. BS 0.1 is to commit to never borrowing money again. BS 0.2 is to commit to working with your spouse on this life-long financial "adventure". Now we're going to take a look at creating and following a budget. Perhaps you're thinking, "Lauren, I don't have time to create a budget, let alone to actually track every penny I spend." 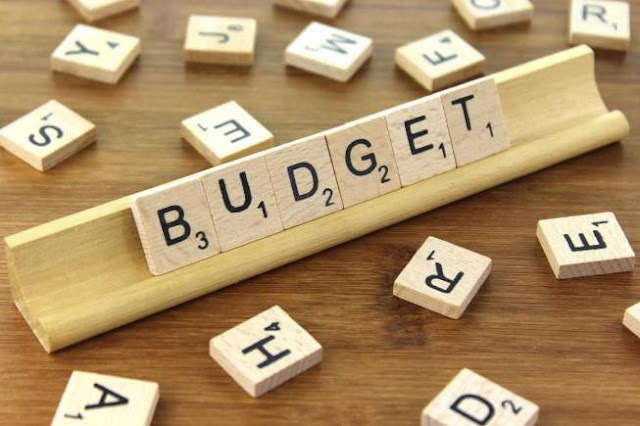 Admittedly, creating a budget takes a small commitment of time - like maybe an hour or two - but by visiting your budget on a daily or even weekly basis, it doesn't take too much time at all. Be honest with yourself... what do you spend your "down time" doing? Watching telly? Facebooking? Surfing the internet? Staying on track with your budget is worth every second of your time. "Ok, Lauren. Why is it worth my time?" You work hard for your money! *Sing it with me! * You work hard for your money so you better treat it right! (I've slightly changed the lyrics.) I can't understand why we would work hard and then just spend money irresponsibly and not save for the future. It's important to know what money you have coming in and how much money is going out. Without a budget how do you know this? How do you know that you'll have enough money to last you until the next time you're paid? Isn't it worth a few minutes of your time a few times a week to give yourself peace of mind? There's no better way to get control of your finances than by creating a budget and following it. I get VERY excited talking about budgeting and VERY excited talking about ways of saving money. That's what this blog is all about. I want to help you to achieve your goals. I want to help you to be able to make it to the end of the month with money left in the bank. I want to help you to learn ways of cutting back, good 'ol fashioned "living within your means", and stretching every penny. Let's get excited about our finances, Friends! If you have tried to follow a budget, but you lose motivation after a few days or weeks, let's pick ourselves up and dust ourselves off and get back to it! You may pretty successfully follow a budget, but admit that something isn't quite right or that some expense creeps up on you that you forgot about it. Let's improve your budget! Perhaps you've never followed a budget, but are satisfied with the fact that there's money left in the bank... that's alright, but you could be doing much better! Tomorrow evening I'm going to share with you ways of creating a budget - yes, there are plenty of ways - and you can choose which way best suits you. I will also give you loads of ideas for categories to include. Your budget won't be the exact same month to month nor does it have to be perfect from the get go! You will learn where to adjust your budget for different times of the year and think ahead to recurring annual expenses. A year ago I wrote a similar blog to this one: The Importance of Budgeting. I encourage you to find a few extra minutes to read it for more insight on budgeting and to look at the categories to include in a budget, which I'll discuss tomorrow evening. BS 0.2 - Get Spouse on "Same Page"